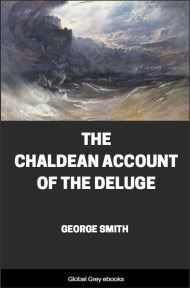 Originally published in 1915, this book is a fascinating look at the ancient civilisations of Babylonia and Assyria. 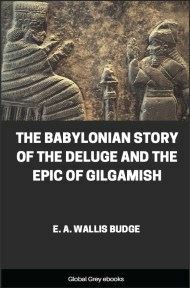 Chapters cover deities, demons, ghosts, the myths of Tammuz and Ishtar, the creation and deluge legends, the heroes Etana and Gilgamesh, the laws and customs of Babylon, the rise of the Hittites, Hyksos, Kassites and the Mitannians, ancient astrology and astronomy, the golden age and the last days of Babylon and Assyria. BEFORE the dawn of the historical period Ancient Babylonia was divided into a number of independent city states similar to those which existed in pre-Dynastic Egypt. Ultimately these were grouped into loose confederacies. The northern cities were embraced in the territory known as Akkad, and the southern in the land of Sumer, or Shumer. This division had a racial as well as a geographical significance. The Akkadians were "late corners" who had achieved political ascendency in the north when the area they occupied was called Uri, or Kiuri, and Sumer was known as Kengi. They were a people of Semitic speech with pronounced Semitic affinities. From the earliest times the sculptors depicted them with abundant locks, long full beards, and the prominent distinctive noses and full lips, which we usually associate with the characteristic Jewish type, and also attired in long, flounced robes, suspended from their left shoulders, and reaching down to their ankles. 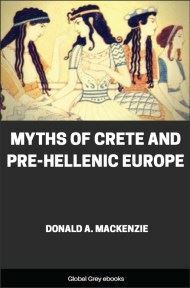 In contrast, the Sumerians had clean-shaven faces and scalps, and noses of Egyptian and Grecian rather than Semitic type, while they wore short, pleated kilts, and went about with the upper part of their bodies quite bare like the Egyptian noblemen of the Old Kingdom period. 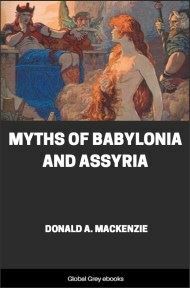 They spoke a non-Semitic language, and were the oldest inhabitants of Babylonia of whom we have any knowledge. 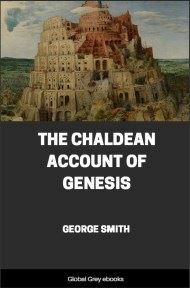 Sumerian civilization was rooted in the agricultural mode of life, and appears to have been well developed before the Semites became numerous and influential in the land. Cities had been built chiefly of sun-dried and fire-baked bricks; distinctive pottery was manufactured with much skill; the people were governed by humanitarian laws, which formed the nucleus of the Hammurabi code, and had in use a system of cuneiform writing which was still in process of development from earlier pictorial characters. The distinctive feature of their agricultural methods was the engineering skill which was displayed in extending the cultivatable area by the construction of irrigating canals and ditches. There are also indications that they possessed some knowledge of navigation and traded on the Persian Gulf. According to one of their own traditions Eridu, originally a seaport, was their racial cradle. The Semitic Akkadians adopted the distinctive culture of these Sumerians after settlement, and exercised an influence on its subsequent growth. Much controversy has been waged regarding the original home of the Sumerians and the particular racial type which they represented. One theory connects them with the lank-haired and beardless Mongolians, and it is asserted on the evidence afforded by early sculptural reliefs that they were similarly oblique-eyed. 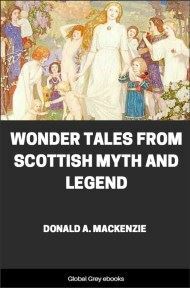 As they also spoke an agglutinative language, it is suggested that they were descended from the same parent stock as the Chinese in an ancient Parthian homeland. If, however, the oblique eye was not the result of faulty and primitive art, it is evident that the Mongolian type, which is invariably found to be remarkably persistent in racial blends, did not survive in the Tigris and Euphrates valleys, for in the finer and more exact sculpture work of the later Sumerian period the eyes of the ruling classes are found to be similar to those of the Ancient Egyptians and southern Europeans. Other facial characteristics suggest that a Mongolian racial connection is highly improbable; the prominent Sumerian nose, for instance, is quite unlike the Chinese, which is diminutive. Nor can far-reaching conclusions be drawn from the scanty linguistic evidence at our disposal. Although the languages of the Sumerians and long-headed Chinese are of the agglutinative variety, so are those also which are spoken by the broad-headed Turks and Magyars of Hungary, the broad-headed and long-headed, dark and fair Finns, and the brunet and short-statured Basques with pear-shaped faces, who are regarded as a variation of the Mediterranean race with distinctive characteristics developed in isolation. Languages afford no sure indication of racial origins or affinities. 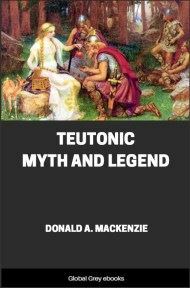 Another theory connects the Sumerians with the broad-headed peoples of the Western Asian plains and plateaus, who are vaguely grouped as Ural-Altaic stock and are represented by the present-day Turks and the dark variety of Finns. It is assumed that they migrated southward in remote times in consequence of tribal pressure caused by changing climatic conditions, and abandoned a purely pastoral for an agricultural life. The late Sumerian sculpture work again presents difficulties in this connection, for the faces and bulging occiputs suggest rather a long-headed than a broad-headed type, and the theory no longer obtains that new habits of life alter skull forms which are usually associated with other distinctive traits in the structure of skeletons. These broad-headed nomadic peoples of the Steppes are allied to Tatar stock, and distinguished from the pure Mongols by their abundance of wavy hair and beard. The fact that the Sumerians shaved their scalps and faces is highly suggestive in this connection. From the earliest times it has been the habit of most peoples to emphasize their racial characteristics so as to be able, one may suggest, to distinguish readily a friend from a foeman. At any rate this fact is generally recognized by ethnologists. The Basques, for instance, shave their pointed chins and sometimes grow short side whiskers to increase the distinctive pear-shape which is given to their faces by their prominent temples.